The course is open. All associations attend at the same fee as the HDKI Members, which is £20. Scott is the bestselling author of Karate Stupid, Karate Clever & Shu-Ha-Ri. Scott also released a dvd called ‘karate principles’ (all of which are available on Amazon). 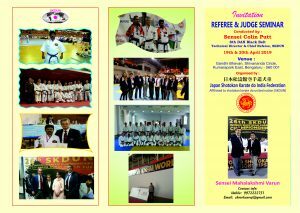 He is a founder member of Hombu Dojo Karate International and Chief Technical Director of the group. Scott’s technical ability goes beyond impressive.